Do you represent a Louisiana State Government Agency and wondering how you should archive all your web and social media content? Are you trying to determine what you need to do both from a legal and a technical point of view? Here’s a guide to the different Laws and processes you should follow. “No person shall be denied the right to . . . examine public documents except in cases established by law.” La. Const. art. XII, § 3. 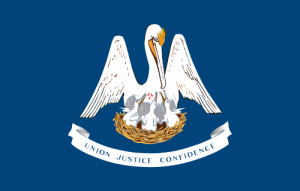 What Laws govern Records Management in the State of Louisiana? Do Louisiana Records Laws include Website and Social Media content? it is “[V]irtually all inclusive. . . . It covers virtually every kind of record and every kind of written, printed or reproduced materials used in the conduct, transaction or performance of any duty or function of a public office. . . .” – Caple v. Brown, 323 So. 2d 217, 220 (La. App. 2d Cir. 1975). “Public body” means “any branch, department, office, agency, board, commission, district, governing authority, political subdivision, or any committee, subcommittee, advisory board, or task force thereof, or any other instrumentality of state, parish, or municipal government, including a public or quasi-public nonprofit corporation designated as an entity to perform a governmental or proprietary function, or an affiliate of a housing authority”. How can we transfer website archives made with PageFreezer to the Louisiana Digital Archives? PageFreezer exports all data on request in the original file format including the required metadata. This data set can be transferred by FTP or by other means to the Louisiana State or Agency Digital Archives.